is a side-scrolling adventure that is a fusion of art, classical animation, and captivating gameplay, created by artist, Michel Gagné, and game industry veteran, Joe Olson. It is developed by Shadow Planet Productions and published by Microsoft Studios. 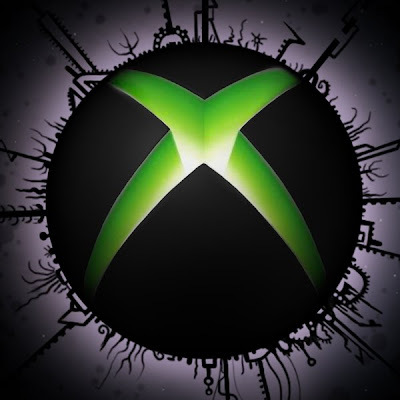 Seattle, WA, March 2010 – Michel Gagne and Fuelcell Games are pleased to bring their independent video game, Insanely Twisted Shadow Planet, to Xbox Live® Arcade. Michel Gagne and Joe Olson, CEO of Fuelcell Games, met in 2007 in Seattle’s Fremont district where they discussed the possibility of bringing feature quality 2d animation to the gaming world in a classic side-scrolling adventure. Shortly after, a production team was assembled and Fuelcell Games was born. Their mission: bring the vision of Insanely Twisted Shadow Planet to life. The Fuelcell team has been busy building a studio infrastructure and quietly working with Gagne on ITSP while exploring partnerships to develop the game. After months of negotiation with several entities, it was decided that Microsoft and Xbox LIVE Arcade was the best possible home for the project. For more information on Insanely Twisted Shadow Planet visit www.insanelytwistedshadowplanet.com or the official blog at http://michelgagne.blogspot.com. I was so hoping this would be PC, ps3 or wii.. Anyway... great to hear this news. Oh no, this is so disappointing. I've been following this game for little over a year now, only to find that it wont be coming to PC. I feel like I have wasted so much time lurking here. Someone please tell me this is for PC to, we have lost too many good AAA games to consoles, please dont tell me we're losing indie games too. To be fair to all, I'd have loved for it to come out on all consoles & PC/Mac. Looks like its gonna be an exclusive for XBLA. Hopefully after the exclusivity ends in a couple of years, we might see it available on other formats. "No one here is saying that there won't be a PC version ;)"
That is a relief, seriously if this game comes out for PC i'd be almost tempted to buy 2! I just watched the trailer. I then felt alarm when it didn't state what it was coming out for at the end. One click to the blog and there was a stonkin' big 360 logo. Relief was felt, and I assure you, this game will be purchased. I really, really want you to post this exact phrase, but in regards to the PS3. (Like many) I was floored by the trailer when I saw it back in July of last year - and as a whole, I'm thrilled this game is getting published. I'm very happy for you guys. Luckily, as a platform agnostic (and fortunate enough to have them all), I'm just plain thrilled to hear it is moving forward at all. I think it would have been a perfect fit nestled in on PSN with the artier games, but XBLA is a great place for it as well. Long as I got an analog stick. For everyone else: keep in mind Braid, Everyday Shooter, and World of Goo all came to PC. ITSP would look good in Steam, too. Game looks great! I'm no longer an Xbox 360 player...(multiple RRoDs) Would love to see this on PlayStation 3's PSN! Hell Yeah! I've watched the trailer many times the last few months amazed by the very cool gameplay and music. I had assumed it was a PC indie game, so I am really happy to hear it's coming out for XBLA. Way to go guys, this will surely be very successful. Now get back to work! This game looks incredible! Please have it available on steam! Well, if I understand microsoft's game publishing politics well, "No one here is saying that there won't be a PC version ;)" - is an absolute maximum of what developers can say regarding other platforms. Since it's microsoft, i really doubt that there would be ps3 or wii, but PC has all chances, in 6-12 months late. Anyone got any idea when we can expect a PC release (if any)? Would it be close to the XBLA release date, cause im afraid of an exclusive agreement lasting months. I hope this is not the case, if anybody can shed light on this it would be GREATLY appreciated. I can't believe this is only coming out on the 360. Thanks for leaving us PS3 users out in the cold. It's a good thing I have an Xbox 360, now isn't it? I hope now that they have a specific platform they're shooting for, they'll be able to make fast progress and launch the game soon. I'd love more frequent updates too. *hint, hint* Being a developer myself, I'd be interested in some more technical details (don't give away all your secrets of course, but some detail about how you make everything so pretty would be nice). Trailer looks awesome. Love that you got Dimmu Borgir for the music in it too. Just hope you guys can get some more of there music in the full version, that would be epic. lets to this, im sure you can do it ! Good to know that this isn't XBox Live only :) Even if this means no PS3 version, its still good to hear. I was getting a little scared that I was going to miss it. That is sooooo cool! Congrats!! Bah, following this game ever since 2007, hoping it'd finally be released on pc, and now it's going to a console :(. So sad. I am absolutely thrilled to hear that this games is finally out! Too bad it's on XBA first, tho I really hope to play it on my PC any time soon ! It's a like a dream come true - fantastic and absolutely brilliant graphics, insane story and gameplay and back to the old roots ! I love it! Been waiting for a long time for it. Seriously! Please release on Steam or PS3. I was shocked this was a multi-platform release or if it is a MS brain wash then at least have the PC as an option. Steam would net you instant sales no questions asked. Dammit, how did I know MS was going to win out on this one? Just a huge freaking shame that I do not get to support one of my favorite artists. Michel, I am a bit sick to my stomach, and I pray you didn't toss out any other licensing opportunities with the Xbox deal. This definitely needs a pc version...with the majority still accessing through pcs ...hoe could this whole segment of users be overlooked?We are waiting!!! I think it would have been a perfect fit nestled in on PSN with the artier games. Long as I got an analog stick. Xbox LIVE is the Ultimate Broadband Gaming Experience that lets you play multiplayer Xbox games live using broadband Internet access (cable or DSL). I'd buy it on PlayStation 3. Honestly, I don't see why there can't be a PC version, and I find it hard to believe that Michel wouldn't consider releasing itsp for both PC and Xbox. The Xbox is essentially a glorified computer, with Microsoft producing both the Xbox and Windows (which is what most PC users have anyway) its just a short hop to make a game compatible for both due to so many similarities in how their operating systems function. Been following the game irregulary since it was announced, but I too was it expecting on PC actually. So, please, get it to PC asap - I'm sure thats in your interest too to get a bigger audience reach :) Thank you, looking forward to play it on PC. I think it would have been a perfect fit nestled in on PSN with the artier games, but XBLA is a great place for it as well. Long as I got an analog stick. iz dis available on pc version? I really hope it'll get released for PC eventually... This would do great on Steam!